A veteran teacher describes how she used visualization, Google images, video, and Skype to build background knowledge and enrich her students' classroom read aloud of a fiction book about ospreys in the UK. In late September of 2011, a colleague and I once again embarked on a search for a book to use as the core of an interactive read aloud. We had worked together before and were again hoping to hook students on reading by providing a stimulating read aloud experience that would be engaging, motivating, and fun, and would provide an opportunity for us to model the kind of thinking we wanted them to do as they read their own independent books. The search wasn’t easy; we read book after book, dismissing several of them because they were either too familiar to the students, not interesting enough to hook them, or touched on topics we were not willing to discuss in a fifth grade setting. Early on in our search, our librarian placed a new title in my hands and suggested I read it. I obliged, and promptly dismissed it, thinking that since the topic was something our students weren’t familiar with, they might not find it interesting. After weeks of my reading and dismissing several other titles, she wisely came back to me and said, “Try this one again.” It was the best advice she could have given me. A million possibilities flooded into my mind on the second read as I recognized the potential for integrating technology, extending the topic into science, making connections to personal experiences, exploring the author’s craft, and perhaps even trying to form global connections with people in another part of the world. Most exciting was the fact that my colleague and I weren’t exactly sure where this novel would take us in terms of new learning, but we decided we had found our book. We agreed to go on a journey with the students and find out. The book we selected was Wild Wings, by Gill Lewis (2011). This fiction novel tells the compassionate story of two children in Scotland who discover a secret when they notice an osprey nesting on a farm. While students in America may take it for granted that they see ospreys each summer, it turns out that in Scotland (and, for that matter, in all of the UK), ospreys are finally beginning to make a slow comeback after being brought nearly to extinction due to the illegal hobby of egg collecting. This was news to me, and prompted me to do a bit of research so I could be sure to explain it correctly to the students. An email correspondence from the author of the book confirmed that even to this day, many different types of birds in the UK are still endangered due to the number of people who illegally steal eggs from the nests, blow out their insides and keep the shells as some kind of trophy or display. It amazed me, and made me think about how much we needed to learn as we read this story so that we could fully understand the significance of the main characters trying to keep their discovery a secret. So we delved into a bit of research in order to build background knowledge. We turned to Google to help us find articles and websites about ospreys, we downloaded videos from Discovery Streaming, we continued to email the author with questions, and we looked at Google Earth to explore the Highlands of Scotland so that students could see, and fully understand, the setting of the story. Then, we began to read. And perhaps that is when the biggest surprise of all happened; we discovered that a book that was originally written and published in the UK contains terms, phrases, and vocabulary that are not only unfamiliar to us, but can actually prevent us from visualizing and comprehending the material unless we turn to multimedia sources to broaden our understanding. Imagine this scene from the story. Three boys are out riding bikes in the Highlands of Scotland when they stop by a tree to watch a girl who is knee-deep in the freezing cold river leaning over with her hands in the water. They watch long enough to see her catch a fish in her bare hands. One boy recognizes this girl and confronts her, accusing her of stealing fish from the river. A struggle ensues as the boy tries to grab both the fish and a notebook that the girl was holding. During the confrontation, the girl slips and falls into a pool of the icy river water, then scrambles up the bank to get away. As two of the boys decide to head home, the third boy notices that the girl left her coat and sneakers behind, and becomes worried that she could be in danger of freezing without them. He looks for her, and when he finally finds her, he sees that although she is still shivering with cold, from somewhere she has found “an oversize jumper, jogging bottoms, and a wooly hat that came down over her ears” (Lewis, 2011, p. 11). A conversation between them follows, and they make a deal with each other that leads to the heart of the story; the boy agrees to let her back on his farm in exchange for her sharing the secret she has discovered. What happened as I read this scene to the students was a classic example of incorrect visualizing. The image in my head was completely not what the author had intended, and as a result I was imparting the wrong image to the students. We all had the key understandings of the icy river water, water that was flowing from “the loch in the high glen” (Lewis, 2011, p. 2). We had shown the class images of lochs in Scotland and talked about what a glen was, and as a result we could picture the setting pretty clearly. But some of the students weren’t sure what a jumper was, so I decided to clear that up with some concrete examples. The next day, I came in armed with a shopping bag stuffed with a jumper I had borrowed from a friend. I began first by sharing my own personal connections with jumpers, telling the students about when I was a young girl and my mother would often lay out a jumper for me to wear to school over my shirt. I described my favorite green plaid jumper, complete with the wide strap sleeves and the length that went down to my knees. I pulled out my friend’s jumper and put it on over my head in front of the students so they could clearly visualize what a jumper was. As I look back on this now, I laugh at the absurdity of the image I was giving the students. Our question about why the main character would be wearing a jumper in this scene led us to discover that in the UK, a jumper has a completely different meaning than in the USA. In the UK, a jumper is actually the term used for a wool sweater, which completely changed the image of the girl who was freezing cold from her spill into the icy river. In fact, we discovered that the term “jumper” actually has many different meanings depending on the context it is used in. In an effort to solidify the correct usage of the term jumper in our story, we turned to a short media clip from Harry Potter and the Chamber of Secrets, where the character of Ginny Weasley comes racing down the stairs looking for her jumper. In hindsight, I now realize that this experience may have been the first clue that we would need to rely on multimedia a lot more in order to learn some of the multiple meaning vocabulary words used in the book, and in order to correctly visualize and comprehend our story. In a recent article in The Reading Teacher, Hall and Stahl make the point that web-based media have given teachers new opportunities to broaden their students’ understanding by providing them with an avenue to integrate images, video, and other multimedia experiences into literacy instruction (Hall & Stahl, 2012). I felt particularly validated as I read this, since my colleague and I had fallen into a routine of using images from Google, video clips we had found online, and websites from the UK to broaden our understanding of the story and to help us with some of the multiple meaning words we continued to encounter. I smile as I recall the students’ delight at the scene in the story where the two friends are munching on “biscuits” as they watch the ospreys from a secret hideout in a tree. Many of us visualized the children with a bag of breakfast biscuits like we would purchase at McDonald’s, so we once again turned to the internet and Google images for photos of the cookie-like biscuits that are popular in Scotland. One student, known to be a bit of a reluctant reader, wrote to me in her journal stating that she couldn’t wait to learn more new words from this book. It became something we looked forward to, our curiosity piqued about any upcoming terms or phrases that might be new to us, or have a different meaning in our own culture. We added a special section in the back of the student journals for recording new words learned. The students were not required to do anything more than jot them down in an alphabetical format that we provided them. The amount of time we spent learning the words through looking at images, watching videos, and consulting websites was enough to firmly grasp the meanings, so the purpose of recording them was merely to have a record of what we had learned. There was no need to copy definitions or write the words in sentences; they had already become a part of the vocabulary we used when discussing the book. Perhaps the biggest highlight in using multimedia with this unit came from a website the author referred us to in our quest for more information about the plight of ospreys in the UK. We were directed to a link in Wales that held fascinating information about the recent hatching of three osprey chicks on a nature reserve. They were the first ospreys to hatch in Wales in over four hundred years! As our own good fortune would have it, the three birds were satellite tagged with GPS trackers, and a film crew actually filmed their 3,500 mile migration from Wales all the way to their wintering spot in Africa. Thanks to the miracle of the World Wide Web, we were able to watch these beautifully narrated video clips, to see first-hand the different stopping points on their migration routes, and to experience some of the same vocabulary terms we were reading from our book (the initial fledgling from the nest, the estuaries they stopped at for fish, the crossing of the Strait of Gibraltar). The book already had us captivated, but the multimedia portion helped us to truly “see” the vocabulary we were learning, and provided the bridge we needed to truly understand it. In the story, the osprey from Scotland gets satellite tagged just like the ospreys we had learned about from Wales. The characters from the book then have a chance to follow her migration by typing the code from the satellite tracker into the computer and plotting the position on maps from Google Earth. Gill Lewis provides tracking data in her book that mirrors a typical route an osprey might take when migrating from the UK to Africa, so we were able to use Google Earth to explore the different areas where our fictional bird was stopping. It allowed us to look at areas of Southern France, the Pyrenees mountain range between France and Spain, the Strait of Gibraltar, the Sahara Desert, and finally, the destinations of The Gambia and Senegal in Africa. But what about the real birds we had learned about from Wales? We found ourselves asking, “Would it be possible to also follow those birds in real life at the same time we were following the fictional bird we were reading about?” We were excited to discover that the answer was just a few clicks away. The Dyfi Osprey Project site provided clear instructions for linking the satellite trackers from their Welsh ospreys directly into Google Earth. We could follow the three birds’ migrations and check their locations each day. The multimedia portion of our unit was taking us into areas we had never even considered as we sketched out our initial goals and plans. It was letting us see and experience new vocabulary, it was letting us visit places we were just learning about, it was helping us understand how a fiction story connects with the real world, and it was bringing this book to life. As we continued to read from Gill Lewis’ book and followed the progress of both our fictional and real-world ospreys, we also began to feel a fondness for what we were learning about Scotland. We explored some of the creatures that Gill Lewis wrote about, turning to video clips and images to learn about creatures like pine martens, red deer, and curlews. We used Google Earth to further explore the Scottish Highlands, complete with its lochs and its grassy hills lined with heather. We investigated what it meant when the children in the story were called for tea, or ate haggis for a meal. And we smiled when we caught ourselves nearly misunderstanding their game of football. We began to wonder what a group of fifth graders in Reston, Virginia, might have in common with a group of children the same age in Scotland. And we decided that there must be a way to find out. Once again, as luck would have it, the author of the book was able to link us with a school in Scotland that was set right at the edge of the wooded area where her book took place. Better yet, the children in the school had also read the story, and had invited Gill Lewis to come speak with them. We contacted the Head Master of the school, who encouraged us to write a letter and send it by email to a class of students that were of similar age to our fifth graders. It was the beginning of a global connection with students in Scotland. We were able to write back and forth a few times with the class, wishing that it could have been more frequent but bound to the realities of time constraints. But the communication we did have was worth it. What we learned had us digging even deeper into learning new vocabulary, as they told us that one of their favorite sports in school was shinty, and that they were learning to play chanter and tin whistle in music class. They shared some things with us about their school day, and we noted differences like the choice they had to either go home for lunch or stay at school and eat in the canteen, their requirement to wear a uniform, and their multi-stage classes that would seem a necessity in a school with a total of only 73 students. We also noted similarities, like our reactions to the Wild Wings story, our concern for environmental issues, and our access to technology throughout the school day. Once again, we found ourselves relying on multimedia as a bridge to comprehension as we explored our new friends’ references to shinty, canter, and tin whistle. And there was a high level of enthusiasm for learning these new terms, thanks to the multimedia components that led to a deeper understanding and a real-world global connection. As our read aloud unit drew to a close, we wanted the students to have an opportunity to reflect on what they had learned, synthesize information that may have led to new insights, and ask questions that were still unanswered. While each of these components took a bit of thought and planning, we decided to devote time for each of them in three different ways. For reflection, we gave the students time to respond to any reactions, new learning, or connections in their journals. In order to get at synthesis, we held a Socratic Seminar where students discussed questions we had prepared ahead of time hoping to purposefully lead them to new insights. And to help with unanswered questions, we turned to Skype. Our first Skype session was held with Janine Pannett, a People Engagement Officer from the Dyfi Osprey Project in Wales. During this visit, students asked many questions about the near extinction of ospreys in Wales, what it was like to have three osprey chicks hatch on their reserve after a four hundred year absence, and what we could learn about protecting the environment so we don’t lose species like this from our planet. This visit got to the science of the topic, as we learned about how ornithologists monitor the osprey populations, how other conditions (for example, the use of pesticides) had also contributed to a decline in osprey populations in the U.S., and how human intervention is finally resulting in a comeback of these magnificent birds. Our second Skype session was with Gill Lewis, the author of Wild Wings. During this visit, students asked many questions about how she got her ideas for the story, why she decided to have the story take certain unexpected twists, and what kind of process she used while writing her book. This visit got to the craft of writing and her life as an author, as we learned about why she made a career change from being a veterinarian to a writer, the experiences in her life that gave her the ideas for her story, and the plans she already has in place for her next book. As it turned out, we were the first American students to have a Skype visit with her, so she had as many questions for us about our interpretation of her book as we did for her. As I observed the students interacting with our global visitors via Skype, I was struck to see how our study of new vocabulary had made such an impact on these conversations. Students were asking Janine about the translocation project we had learned about from the Dyfi Osprey Project. They were asking Gill Lewis if she had ever eaten haggis before and whether or not she liked it. They were inquiring about the number of eggs usually found in a clutch, and the statistics of how many birds survive their first migration. Even our opportunities for learning words and terms unique to the UK became clear at the end of the Skype visit with Janine, our People Engagement officer from Wales. Somebody asked her, “How much does one of the satellite trackers weigh?” and she responded, “About as much as a package of crisps.” I couldn’t help smiling, because everyone in the class knew exactly what she meant. Not long ago, I was reviewing a professional book called Word Savvy: Integrated Vocabulary, Spelling, and Word Study, Grades 3-6, by Max Brand (2004). I have used this book before when working with teachers who are learning about the topic of word study, and decided to revisit it in an effort to remind myself of some of his teachings. Early in the first chapter of the book, the author reflects on the need for a balanced approach to word learning, stating that “The push in literacy instruction feels like it is moving us as teachers to more attention to print, with less emphasis on understanding” (Brand, 2004, p. 4). What an alarming thought, to feel pushed to focus so much on what words look like that we lose sight of teaching meaning. I am convinced that the use of multimedia in literacy instruction can provide that important focus on meaning, offering students the chance to “see” what new words mean in images, to experience new words through video, and to use new words through global conversations via email or Skype. As I reflect on the questions I’ve been asking myself about what was learned over the school year, three things come to mind. First, I learned that I am hooked on finding new ways to use technology and multimedia to enhance literacy instruction, and my students get hooked more easily when they can interact with it too. 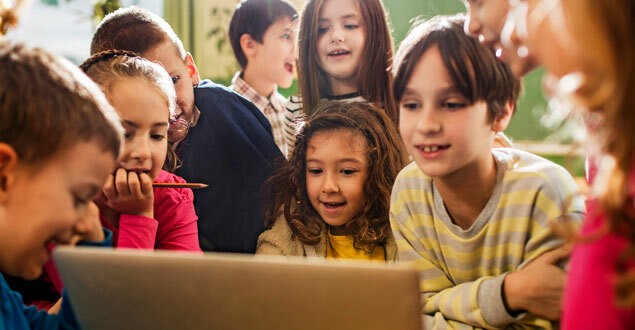 Giving students the opportunity to be immersed in images, watch videos, navigate Google Earth, and interact via Skype not only raised their level of enthusiasm but brought teaching vocabulary to a whole new level. Second, I learned that one thing I might do differently in the future is not be so quick to dismiss a book and its teaching possibilities. When I read Wild Wings the second time, I was shocked to discover how much I had missed the first time through when I had not paid close enough attention to the rich vocabulary, powerful messages, opportunities for integration, and chances to use multimedia to bring the book to life. And lastly, I learned that the moments that would go down as magical in my mental scrapbook were all moments that surrounded the journey we went on as we read from this book: the responses from students as they grappled with the issues raised in the story, the visits to Scotland and Wales through images, video, email, and Skype, the curiosity about words and enthusiasm the students showed as they learned new meanings, and the realization that the use of multimedia provided the bridge that led to deeper understanding. Donna Mecca is a reading teacher at Armstrong Elementary School in Fairfax County, Virginia.She received her B.A. in Special Education from Hood College and her M.Ed. in Reading from Towson State University. Her current interests include motivating reluctant readers, and using technology to engage students in literacy instruction. Brand, M. (2004). Word savvy: Integrated vocabulary, spelling, & word study, Grades 3-6. Hall, M. & Stahl, K. A. (2012). Devillainizing video in support of comprehension and vocabulary instruction. The Reading Teacher, 65 (6), 403-406. Excelent strategy. I like it to much. Is a way for to do more fun the learning process. Thank you for the sharing. I reached the same conclusion you did, with the same results, a little while back. It's amazing how far word study can take a teacher and her class into so many realms. Excellent post. Thank you! What an amazing story--I love how you showed us the growing enthusiasm of the students for new words and how you found ways to integrate science. Now you've motivated me to try to find a similarly rich text for my very first class, which will be 2nd grade.